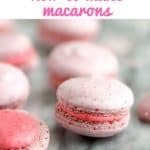 Go from Macaron Mess to Macaron Success following these macaron tips for beginners that I’ve learned over my many macaron baking attempts. How to make macarons is a much talked about topic in the world of fine baking. I don’t live in a fine baking world. I live in the world of “see dessert”, “learn to make dessert”, and “eat dessert”. Can you relate? Do you want to learn how to make macarons at home? Macaron tips for beginners is a good place to start when you want to achieve homemade lovely macarons. Such a simple idea: two meringue cookies sandwiched with a creamy filling. I associate macarons with French baking but I’ve learned that the cookie may have an Italian history. This European delight has grown in popularity in the United States and it can be found in many bakeries yet most Americans don’t whip up a batch of macarons in the way we might do so with chocolate chip cookies. Why not? Well, there is much to be said about the process of making macarons and so many questions create doubt for the home baker. I am THAT home baker– the one wondering if I have half a chance at macaron success. I am also the home baker who would like to master macarons. I plan to try a few different techniques and recipes then I’ll share what works and what doesn’t. 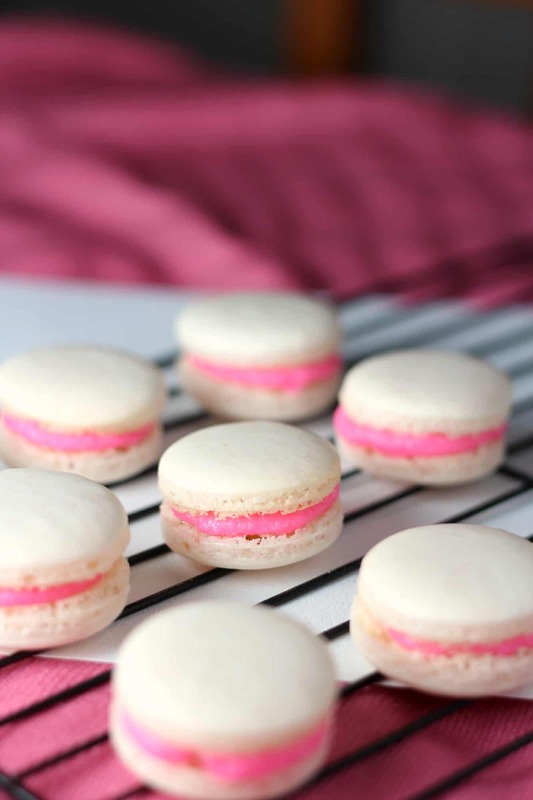 Won’t you bake along with me with these macaron tips for beginners? What ingredients are in macarons? Macaron shells are naturally gluten free. Often fillings for macarons like lemon curd, pumpkin butter, raspberry jam, buttercream, nutella are also gluten free. You do need to take caution, though, if you purchase macarons to read the ingredient list because often manufacturers add gluten to their fillings where you wouldn’t expect it. For example, boxed macarons at Costco are not gluten free. The process of making macarons is not difficult but it takes a period of trial and error to grow your confidence and ability. My boys are taking ice skating lessons and the instructor told the kids (loud enough for the parents to get the message too) that you must not be afraid to fall down. It is part of learning. Baking is the same– there will be batches of burnt cookies, lopsided cakes and cracked macarons on your way to kitchen confidence but keep going! I made macarons about a year ago without much trouble. Beginners’ luck for sure. When I recently thought I’d repeat that performance I was greeted by batch of macarons that spread over the entire baking sheet into one, sad-looking blob. I turned to Google to see what might help my next attempt. History: there are many websites with macaron history but I like this playful list of 10 Beautiful Facts about Macarons from Huff Post UK. Many chefs have their own ideas about macarons. Stella, author of the blog BraveTart, has an excellent collection of tips, myths, and recipe. Pinterest: Pinterest has a nearly endless supply of macaron photos, recipes, ideas, colors, and flavors. 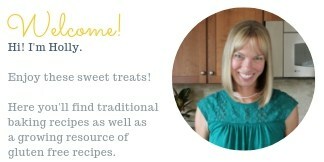 If you would like to join my Pinterest board for all things macaron send me a request and I’ll add you. I’d love to have a place where we can share ideas and our latest creations! Here is the link to the new board. for beginners like me, it helps to use a macaron baking sheet. SO HELPFUL! These silicon sheets provide a consistent size and also give a touch of stability to your meringues that parchment paper cannot. Look at the difference between the SAME batter which was piped and baked — one on parchment and one on the macaron baking sheet. I had over mixed the batter but the baking sheet gave me a better chance of success. 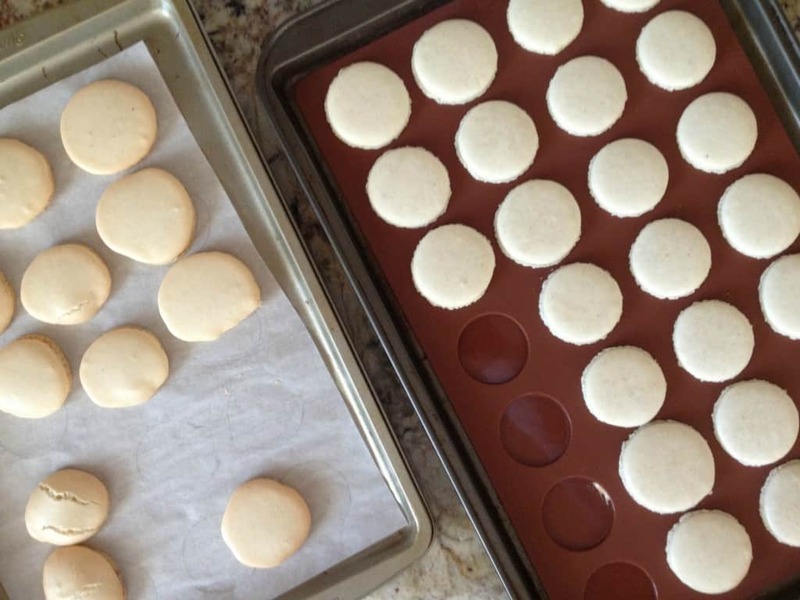 double your baking trays (stack them to create a double thickness) to help the macarons bake more slowly on the bottom. The baking tool I find most helpful when learning how to make macarons is a Macaron Baking Mat. The mat has circular indentations that make crafting identical macarons SO MUCH EASIER. When I’ve experimented with that same batch of macaron batter and made one tray with my molded baking mat and the other tray without the mat, I’ve had much better results with the mat. The molds give the macarons structure and, for me, are an insurance policy for when I may have under mixed my batter. Instead of spreading all over a regular baking mat, my macarons puff up, develop that signature foot around the edge, and bake beautifully. Before I found the macaron mat (which honestly is the easiest way to pipe macarons), I would trace circles on my parchment which would guide me in making consistently sized macaron shells. Each time I’d trace around a circle cookie cutter or something else that was about the right size in my kitchen. The method worked but was time consuming. Here’s a better solution in making uniform macaron shells: a printed template filled with circles. I created exactly this template and share it with you in my Free Printables Library. Access is free to my email subscribers. If you’d like access to the template, complete the form below to be added to my email list. The password will be emailed to you within minutes. Let me know if you find success with the printable Macaron Piping Template or with the Macaron Baking Mat. Tag me on instagram at @abakershouse and I’d love to see your macarons! Ok, let’s get baking! 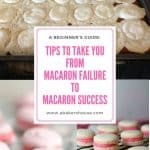 I hope you’ll share you macaron success stories with me. You can do it! Here are some of my favorite variations. What’s your favorite? OMG Holly! You did it!! Now I am completely in awe of you and am inspired too to try making them once more. I made them once and they flopped. Now you have given me tips and inspiration to try it again. Let’s open the bakery already! I know we are ready! I am not sure I get the fascination with “feet” on the macarons but I was surely glad to see some. I need to become more consistent for sure so I am ready to practice. Hopefully you won’t mind if I share some of the (successful!) results with you! Put your requests in now for flavors! Great post and equally great tips! Plus these are very pretty! exactly which silicon sheet are you using? I want to get one! Hi Alice, I use this one from Lakeland (a store in the UK) but have seen them in the States too. It makes a big difference in my success rate when baking these little beauties! Do you use anything to stop them from sticking to it? I used it once and they didn’t release. Mind you, they weren’t successful anyway so it might’ve been that! 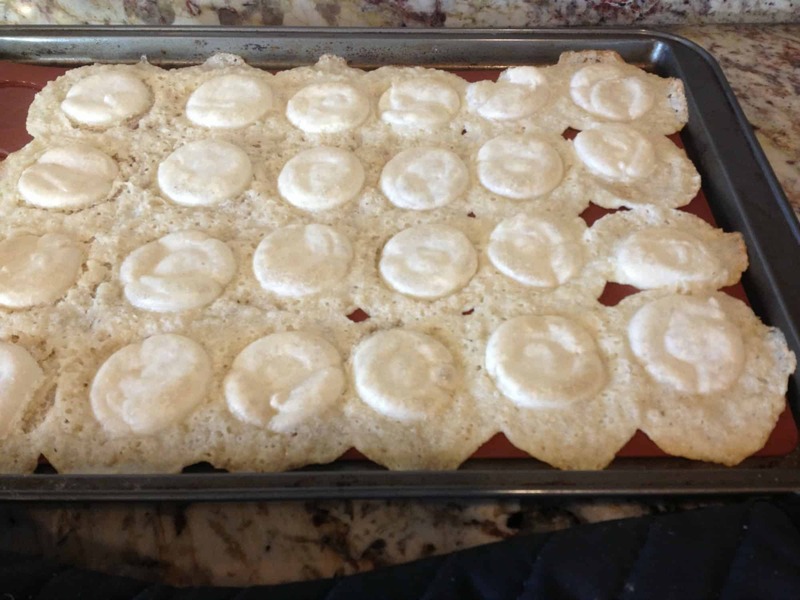 Are you using parchment or using a silicone baking mat? With parchment I find it helps to let the macarons cool completely before trying to lift them off. 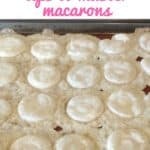 With the silicone baking mat it seems a bit easier and the macarons lift without trouble. The problem might also be that the macarons are slightly underbaked if they are not lifting easily. Hi, sounds like you are off to a good start but could change a few things for better luck next time. 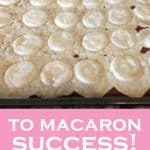 Did you use a macaron mat? I have the most success when I use a mat with the molds in it. Size stays consistent and it seems to help with the foot formation of the macaron. If your macarons are lop-sided it may be that your oven is not baking evenly. The skin should take longer than 5 minutes to form– you can test after 20-30 minutes and when you touch the macaron your finger should come away cleanly, without leaving any mark on the macaron. I also have read that some bakers don’t bother letting the macarons sit out at all. It is a matter of experimenting for sure. Oh dear, where has Mr. Macaron gone? There was a lot of great info on that site but, you are right, it is no longer available. Thanks for bringing that to my attention. I appreciate it! I’ve found another source and updated the link. Thanks again! I hope you have success, Isabel! Let me know how it goes. Macarons can be tricky but once you get the hang of it they are fun to make! Since I have never eaten a macaron I’m not sure exactly what they are like except the pictures are so pretty. Are they supposed to be hollow? With a bit of a crunchy top? Hi Karen, I hope you give macarons a try. It can be helpful to eat one from a bakery or even from a box before baking these for the first time. I like the versions offered in the frozen section at Trader Joe’s. Costco sells frozen macarons too. They defrost easily. A macaron should have a domed top that isn’t particularly crunchy but it is well baked. The inside should be soft– not hollow– and even a little chewy. The filling can add to the soft texture in the middle– think buttercream, nutella, or jam. Enjoy! My daughter and I have tried 3 different recipes and all ended in the blob you mentioned. The first batch, we didn’t beat the egg whites long enough. The second batch we under mixed the batter The 3rd batch, the egg whites were stiff and batter was perfect, or so we thought. We used a silicone pad and watched them turn into a blob. What are we doing wrong. Oh goodness, macarons sure can be frustrating! I love that you have given them a few tries. Let’s try to troubleshoot: what is your oven temperature? Use an oven thermometer to make sure that the actual temp is the same as what you’ve set. 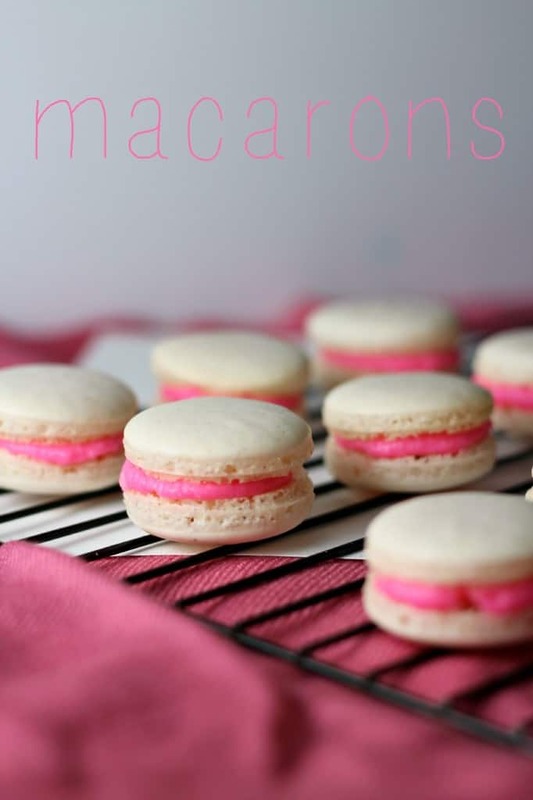 Often ovens can be 10-20 degrees off which throws off macarons. What is the weather? Humid, dry? Macarons behave differently depending on the conditions. Are you using cream of tartar? It helps stabilize the egg white and might help you avoid that dreaded blog. Is your silicone pad a macaron mat or just a silicone flat sheet? I’ve had success with the silicone macaron mat (the one with individual circles for each macaron) which gives the macarons that added bit of structure. Macarons can be tricky and frustrating! It’s hard to say why your macarons have wrinkles. Did you let the tops dry out before baking? Perhaps you could change the amount of time you let the skin form on the top of the unbaked macarons and try again. It is definitely a process getting it all to work out right!